Monday & Wednesday CET Brussels Mon. 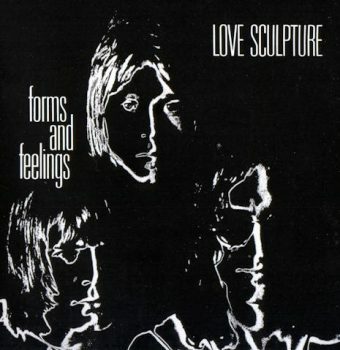 Wed.
SPECIAL: LOVE SCULPTURE & THE EVERLY BROS.
LOVE, PEACE & UNDERSTANDING JEFF BECK GROUP: Let Me Love You (Truth, 1968). THE EVERLY BROTHERS 1965 & 1966. Rock’n’Soul (1965), Beat and Soul (1965) Gone, Gone, Gone (1965), In Our Image (1966): choice tracks. THE JOHN DUMMER BLUES BAND feat. Dave Kelly, T.S. McPhee, John O’Leary (hnca) and guest vocal by Jo-Ann Kelly: Cabal, 1969, entire B-side. JOHNNY CASH At Folsom Prison, 1968, choice tracks. ADAM FAITH with THE ROULETTES and Chris ANDREWS, live in the studio: Faith Alive, 1965, choice tracks . 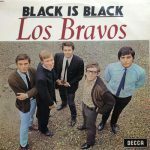 LOS BRAVOS Black Is Black, LP, 1966, A-side. LITTLE RICHARD Little Richard Is Back, 1964, LP, choice tracks. LOS BRAVOS Black Is Black, LP, 1966, B-side. THE LOVE AFFAIR The Everlasting Love Affair, LP, 1968: choice tracks. WAYNE FONTANA Wayne One, LP, 1966, choice tracks. THE LOVE AFFAIR The Everlasting Love Affair, LP, 1968, choice tracks. BILLIE LEE RILEY In Action!, LP, US, 1966, choice tracks. B.B. KING Live At The Regal, 1965: choice tracks. LOVE, PEACE & UNDERSTANDING Wayne Fontana: Storybook Children. HOMAGE TO CATALUNYA Llibertat Presos Politics. FREE SPEECH & POEZIE Frederik De Preester leest Eric De Preester : Vrede + Mexico 1968: the Tlatelolco Massacre + Mexico 1968: Black Power at the Olympics + Simon & Garfunkel: 7 O’Clock Newssilent Night. “Love Sculpture made an amazing leap forward in a relatively short space of time from their album of raw blues and soul covers (Blues Helping) to the much more advanced psychedelic pop and quasi classical structures of Forms and Feelings. It starts with two memorable singles “In The Land of the Few”, complete with Byrds like jangly guitars and an early expression of environmental concerns in their take of Paul Korda’s “Seagul”, a sensitive, somewhat dramatic ballad as it turns out.